A black 40 watt LED track head featuring a long cylinder shape. This LED track head uses 40 watts of energy, but has a light output of 2680 lumens, comparable to a 150 watt halogen unit. 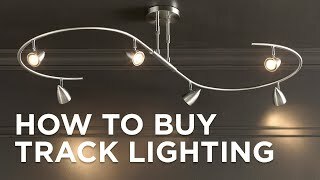 Featuring a black finish, the track head swivels and can be adjusted to point light just where you need it, and it is dimmable with LED compatible dimmers. For use with Halo track systems. Head is 3 1/2" wide x 7 1/2" high. Total length is 3 1/5". Consumes 40 watts to produce a 2680 lumen light output, comparable to the output of a 150 watt halogen. 3300K color temperature. 90 CRI.